Mark Wilson is leaving the insurer after six years. Although he simplified the firm, boosted capital and bought Friends Life, Aviva’s valuation lags peers. If his successor can’t strategically advance beyond cross-selling and digital forays, it could become a takeover target. Aviva said on Oct. 9 its chief executive was stepping down from his role after six years. Mark Wilson will be replaced temporarily by Chairman Adrian Montague while a permanent successor is appointed, a task the company said it aimed to complete within the next four months after assessing internal and external candidates. Wilson will remain at the group until April to help assist with the transition. Montague will be assisted by a “chairman’s committee” of Andy Briggs, CEO of UK Insurance; Chief Financial Officer Thomas Stoddard; and Maurice Tulloch, CEO of International Insurance. 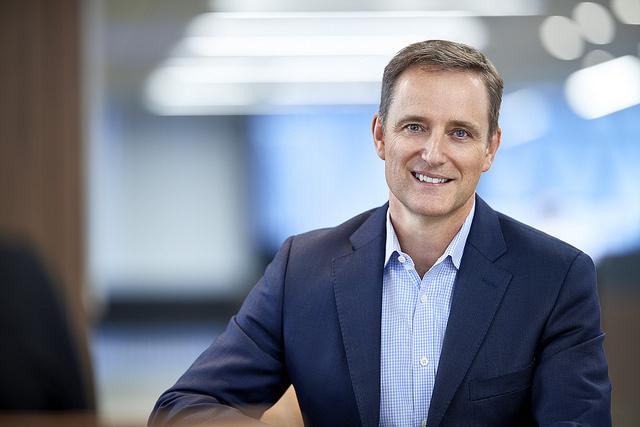 During his stint at Aviva, Wilson led the company’s 5.6 billion pound ($7.33 billion) takeover of Friends Life in 2016, in the sector’s biggest acquisition in more than a decade. Separately, Aviva said it continued to perform well and remains on track to deliver operating earnings per share growth of greater than 5 percent in 2018 and to achieve a dividend payout ratio of 55 to 60 percent of operating earnings per share by 2020. Shares in Aviva were up 1.97 percent at 474.4 pence by 0741 GMT on Oct. 9.